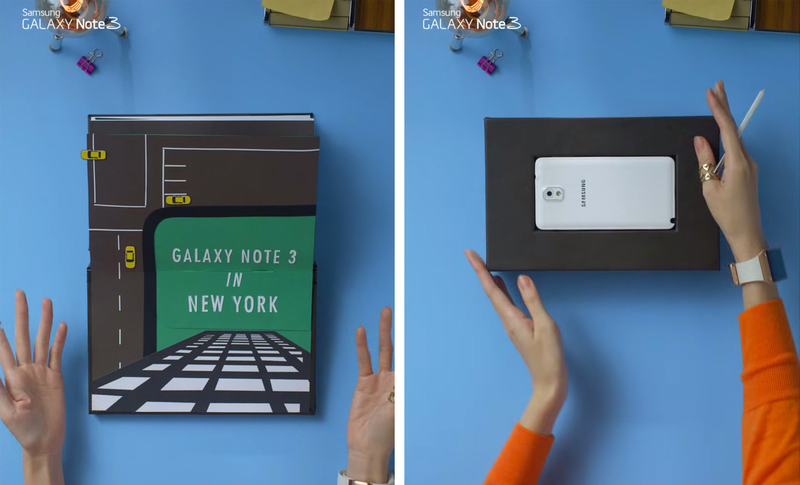 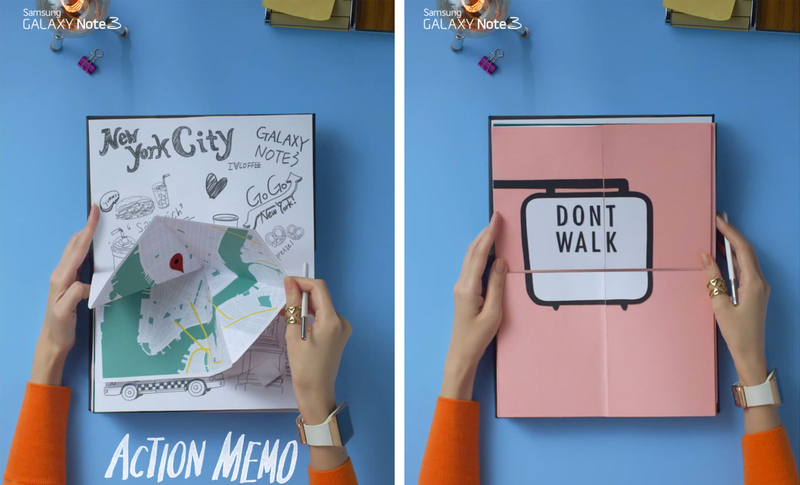 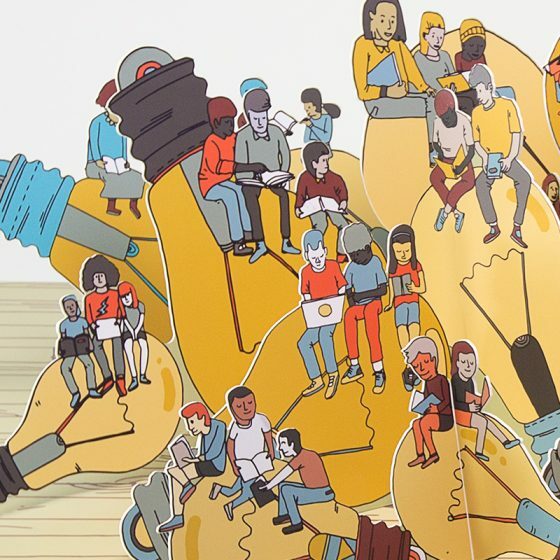 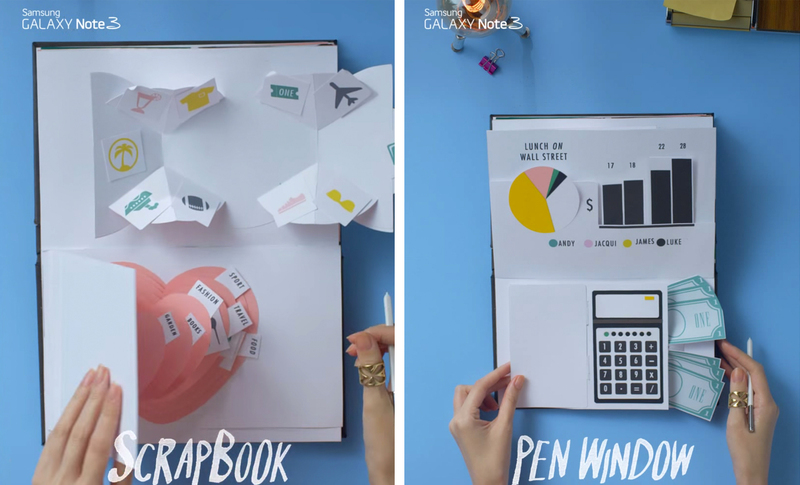 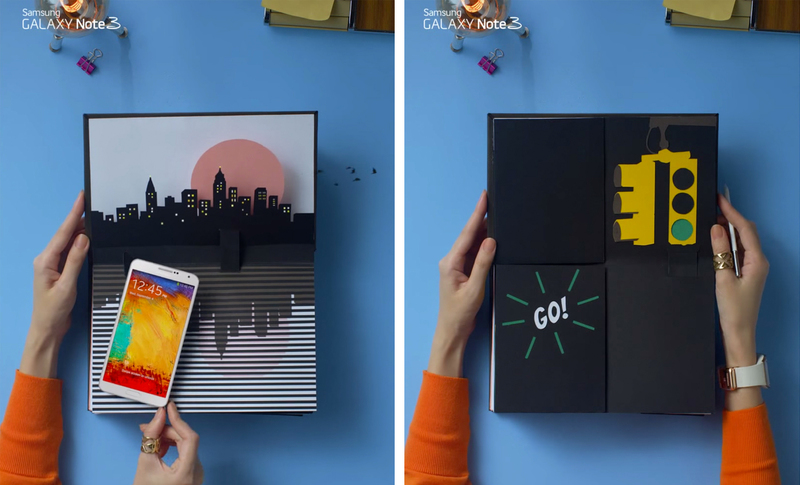 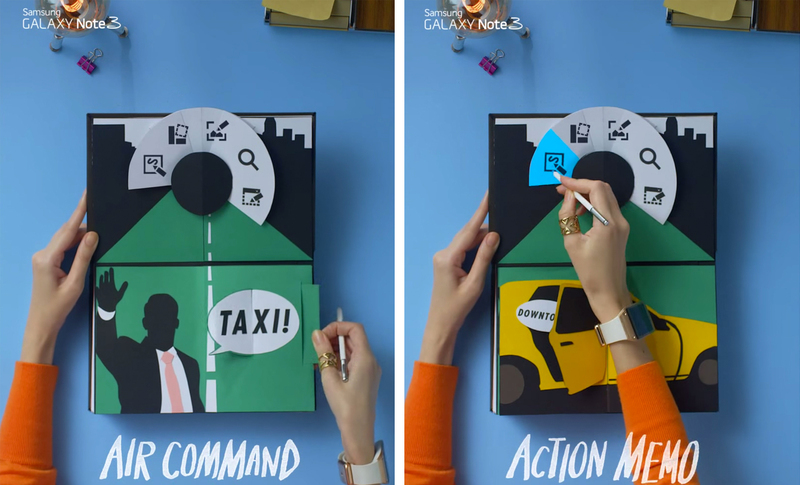 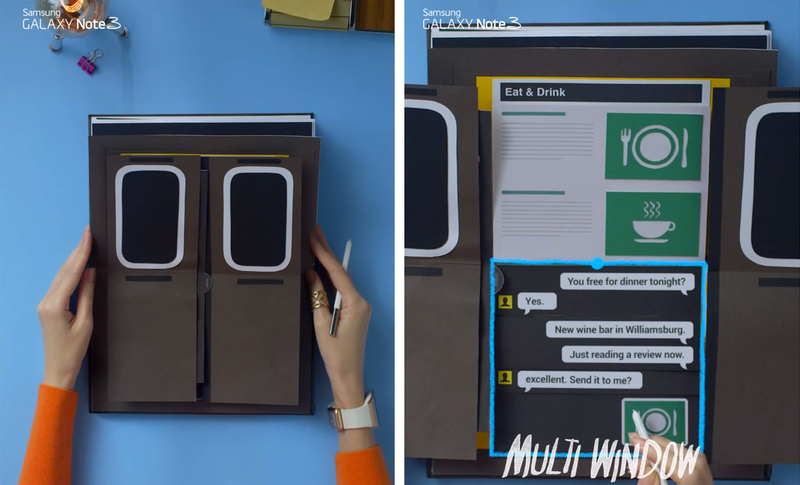 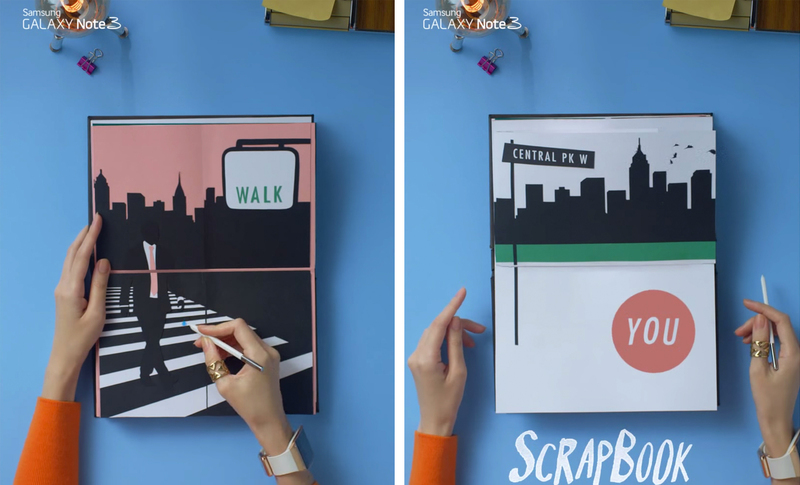 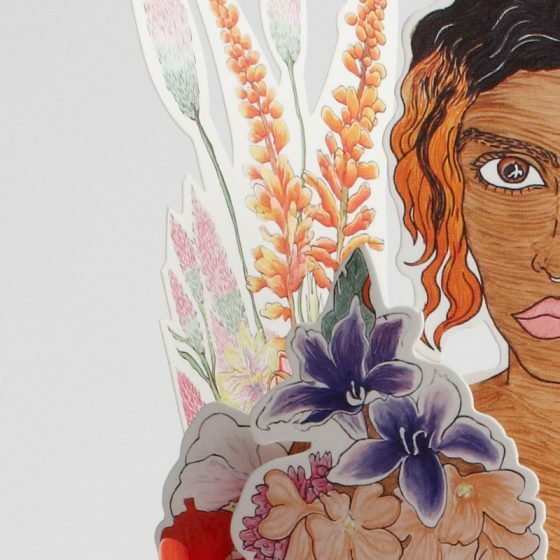 A pop-up book commissioned by Samsung to spearhead the 2013 North America wide launch of the new Samsung GALAXY Note 3 handset. 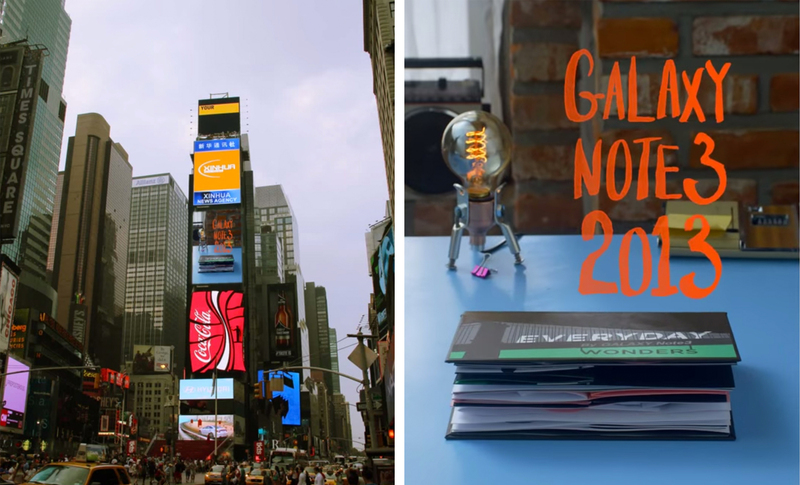 Our film was looped on the Samsung Screen in Times Square, NYC for a month over the duration of the campaign. 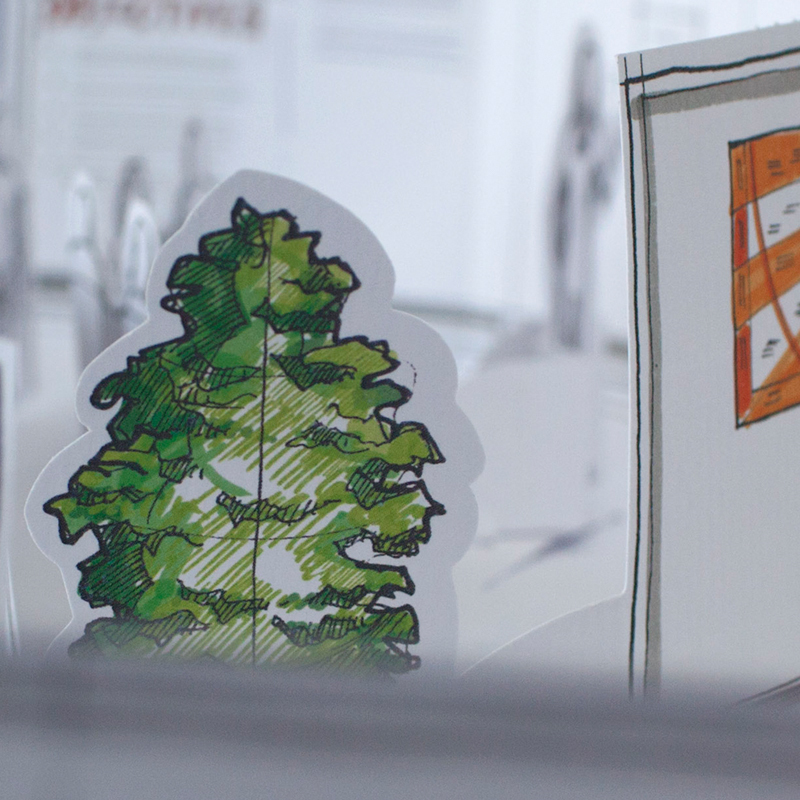 Paperform was one of five leading international paper engineers chosen to take part in the project that spanned five standout regional cities across the globe.